Getting through a very difficult year of treatment for bi-lateral breast cancer only to be told at the end of it that, despite radical surgery, chemotherapy, radiotherapy and targeted hormonal therapy, it had spread to my spine and would almost certainly significantly reduce my life-expectancy isn’t the greatest news in the world. In fact, it changes everything, and made me take a long, hard look at every aspect of my life. What became crystal clear almost immediately was that, if I might not be around for as long I as want to be, I need to make sure every day counts as a special one, filling it with fun and laughter and happiness. In some respects, I can look back to that time a year ago and realise that it was quite a liberating moment; a moment when I promised myself I’d make every day matter, and live the life I wanted to, rather than bending and blowing to the windy whims of the tough stuff that likes to get in the way of being who we want to be. One of the first things I decided to do was to write a book. Not just any book, the book that had lurked inside me for years just waiting to tumble out down my fingers and onto the page. The book that might make other people’s lives significantly easier than mine had been for the previous 20 years, the book that, if I had been able to read it myself way back then, may have prevented a lot of the awfulness I had had to cope with, which almost certainly stressed out my immune system, creating the perfect conditions for my cancer to take hold and thrive. Two weeks ago, it was published and it’s a really great feeling to know that it’s already making a huge difference to families up and down the country, and getting rave reviews too. The Nursing Times is my favourite so far, including phrases such as “Fantastic job”, “Deeply affecting”, “Offers tremendous insights”, “Fills an enormous gap in the market”, and my personal favourite quote “an invaluable resource for anyone caring for a child with a disability”. 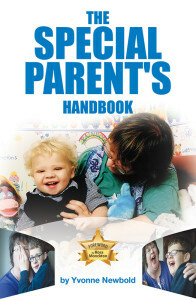 My new book, “The Special Parent’s Handbook”, is filled with everything I didn’t know 20 years ago, when I was told my second-born child, Toby, was so seriously ill he was not expected to survive early childhood, and if he did, he would be profoundly disabled. I certainly didn’t know then that, in the next few years, both his brother and his sister would also be diagnosed with disabilities too, nor that we would face the horrors of long-term life-threatening serious illness all over again, when his brother, Adam, reached his early teens. 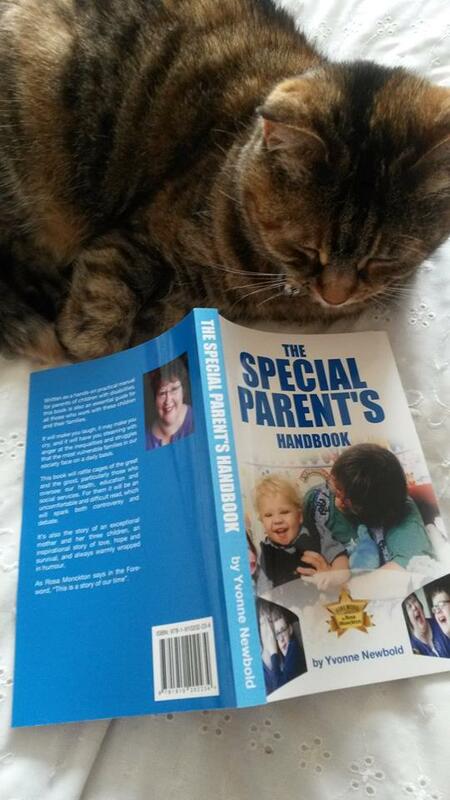 Suzan’s Chatty Cat reading The Special Parent’s Handbook. 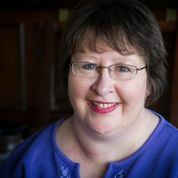 In those bleak, frightening early days, I knew nothing about disability or serious illness, and didn’t know what to do, how to cope or where to go for help. I never again want anyone else to have to feel quite so lonely, abandoned and desolate, and it’s a really lovely feeling to know that, already, I’m getting really warm messages from other families thanking me for making things easier for them, just because they’ve read my book. The book has everything you might ever need to know in there, from dealing with stares in the street, insensitive and unsolicited advice from strangers, family and friend to learning how to make advocate for your child in the endless meetings with the never-ending parade of professionals and therapists that can feel intrusive, threatening and undermining. It’s also got some tips in coping with the overwhelming emotions that, at times, seem as if they may drown you, strengthening your personal relationships, building support networks, creating happy, secure and memory-filled childhoods for all your children, with ideas on how to make sure your other children don’t miss out. There’s an invaluable chapter on how to cope with being a long-term resident parent in hospital with your child as well as how to deal with all the other aspects of medical care, including a chapter to prepare you should your child ever be ventilated and on the intensive care unit. Coping with food issues and meltdown are also tackled, as are getting the best education for your child with the right support and how to get all the professionals, social services included, on your side and working with you rather than against your family. It’s very funny in places and painfully raw in others. Every chapter finishes with a “Tips, Tricks and Strategies” section, so you can either read the book from beginning to end, or use it as a reference guide to dip in and out of as you need to. “The Special Parent’s Handbook is also, inevitably, a story of our own family, because all the way through I use things that happened to us to illustrate various points. You’ll be pleased to know that, despite massive odds, all three of my children survived and are thriving, now on the brink on adulthood, as confident, well-adjusted individuals with very happy memories of their childhood. Throughout the book I tell it as it is, which means that it will be a very informative read for anyone who works with vulnerable children, as the book holds a mirror up to how our health, social care and education services so often let down our children and their families, despite the very best efforts of individual professionals. I’m already planning my next book, which will either be about living with cancer or more about how society could be doing so much more for our seriously ill and disabled children, and how, in most cases, tiny no-cost or low-cost adjustments could make all the difference in the world. Wouldn’t it be fabulous if we could do it all a whole load better for our next generation of children who need the most support?